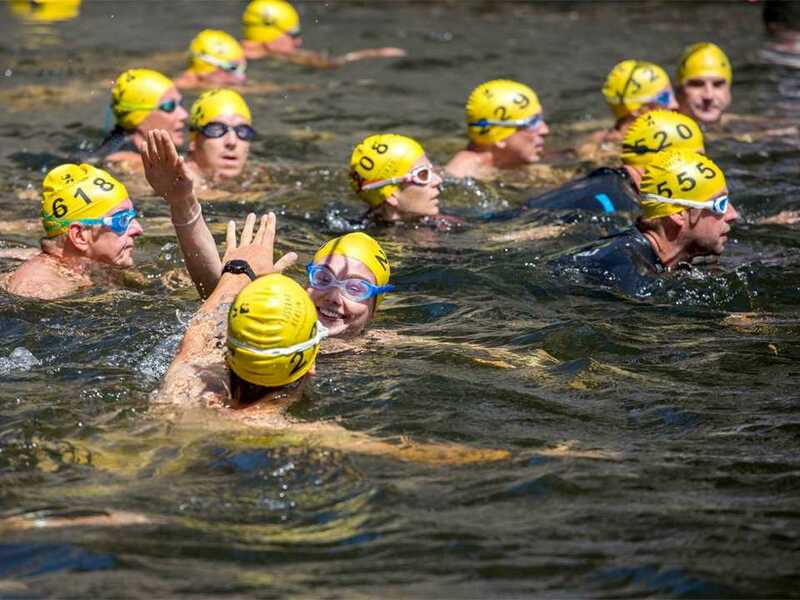 More than 500 swimmers showed their support for Flussbad Berlin by participating in the 4th annual Flussbad-Pokal (River Pool Cup) held in July 2018. Photo: Courtesy dpa. 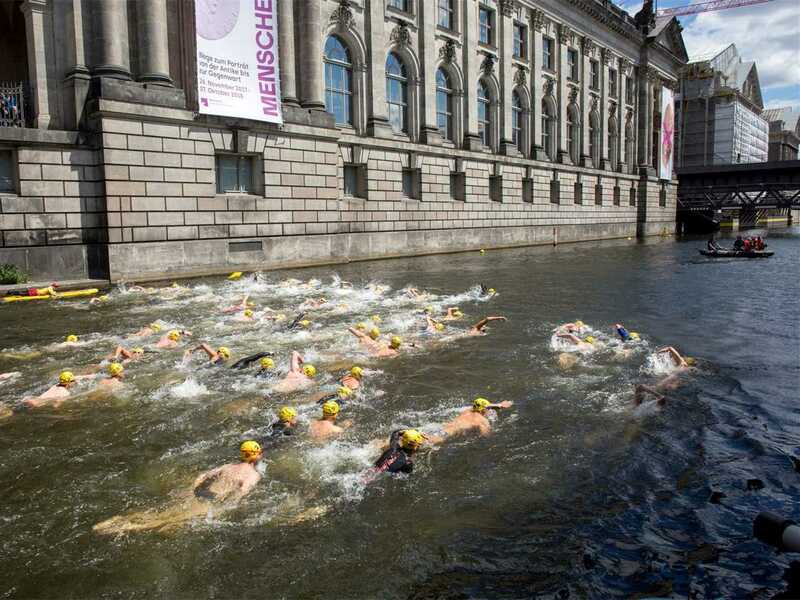 The number of swimmers taking part – on the stretch of the River Spree where the swimming pool will be located between Bode-Museum and Schlossbrücke – has more than doubled in the last two years. Photo: Courtesy dpa. 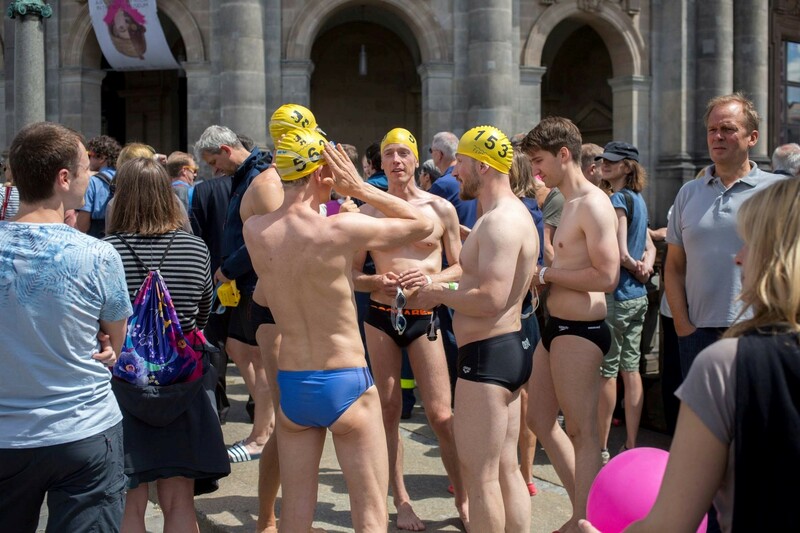 “Expanding participation and civic engagement underscores the growing support of the population for the Flussbad” – project architect Jan Edler of realities:united. Photo: Courtesy dpa. 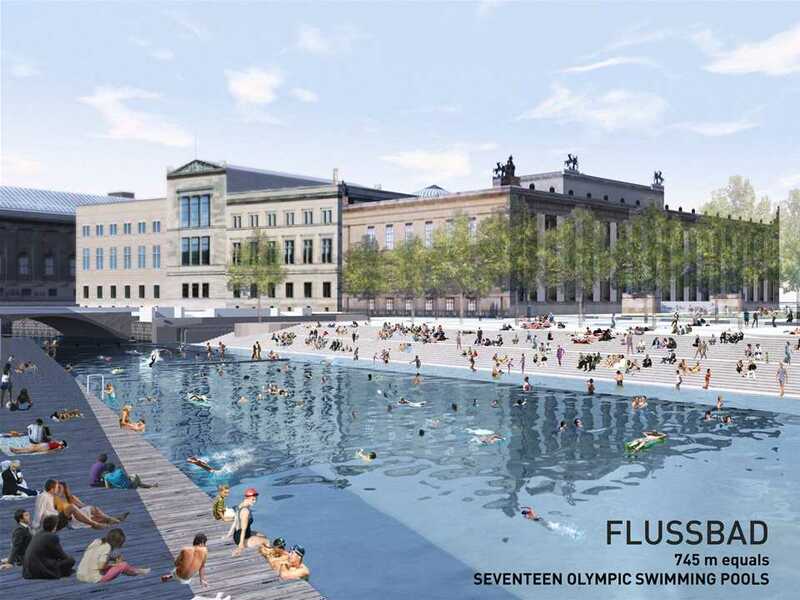 “It is no longer a question of ‘if’ the Flussbad will come about, but ‘when’”– project architect Jan Edler of realities:united. Photo: Courtesy dpa. The Global LafargeHolcim Awards Bronze 2012 prize-winning urban plan by Jan and Tim Edler will provide a public urban recreation space adjacent to the UNESCO World Heritage site Museuminsel for both residents and visitors. Photo: Courtesy dpa. Flussbad Berlin is already holding talks with potential supporters to host the Flussbad-Pokal in coming years. Photo: Courtesy dpa. 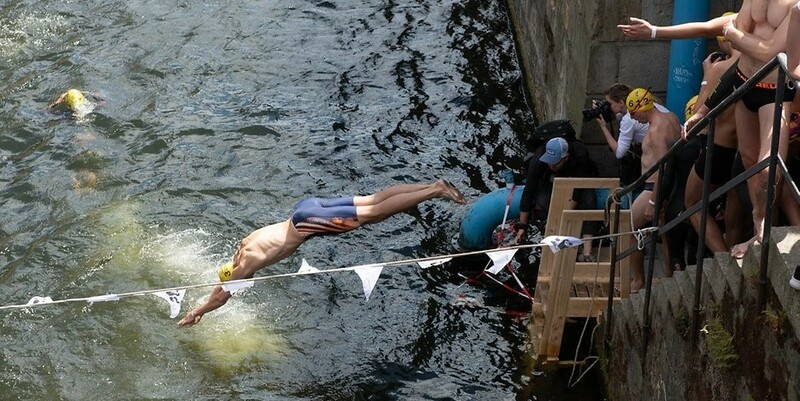 This year, the water from the river was tested by Berliner Wasserbetriebe to ensure it was safe for swimming. 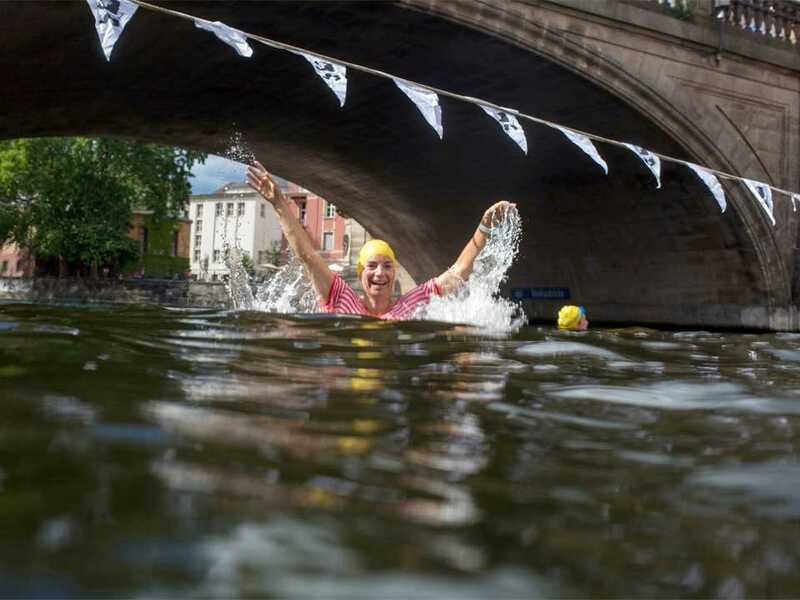 The water quality was rated “excellent”. Photo: Courtesy dpa. 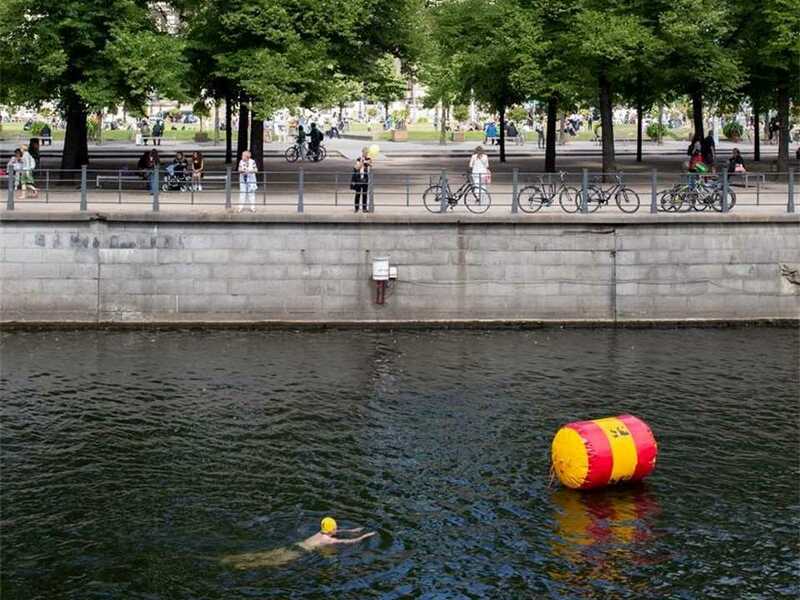 The Flussbad project will transform the Kupfergraben Canal, an underutilized arm of the River Spree, into a natural, self-cleaning body of water. Photo: Courtesy dpa. 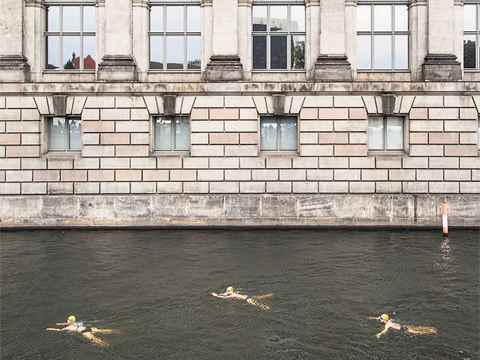 A Flussbad-Pokal participant dives into River Spree next to Bode-Museum in Berlin. Photo: Courtesy dpa. 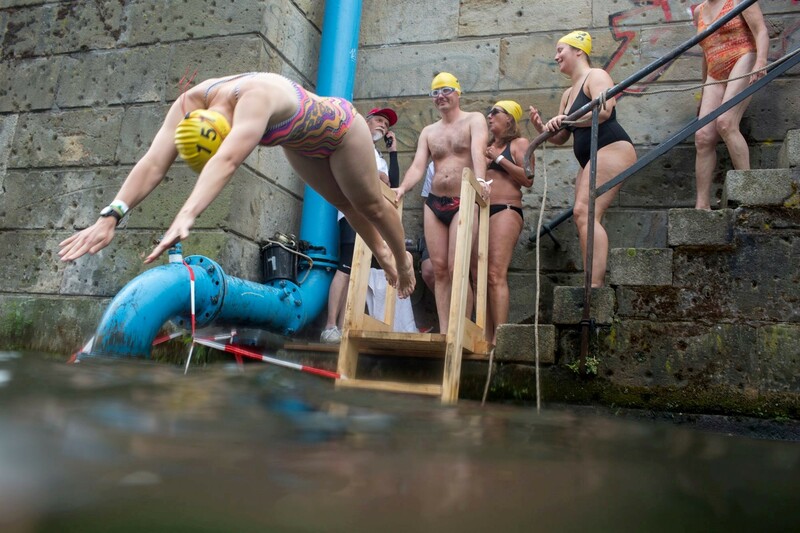 Thanks to strong public support and the establishment of a government committee, an urban swimming pool in the Spree River in central Berlin has taken two steps closer to reality. 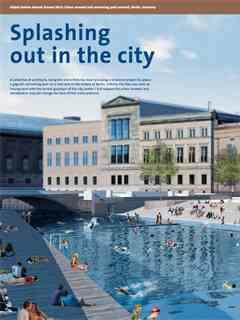 “Flussbad Berlin” – the Global LafargeHolcim Awards Bronze 2012 prize-winning urban plan by Jan and Tim Edler will provide a public urban recreation space adjacent to the UNESCO World Heritage site, Museuminsel (Museum Island), for both residents and visitors. 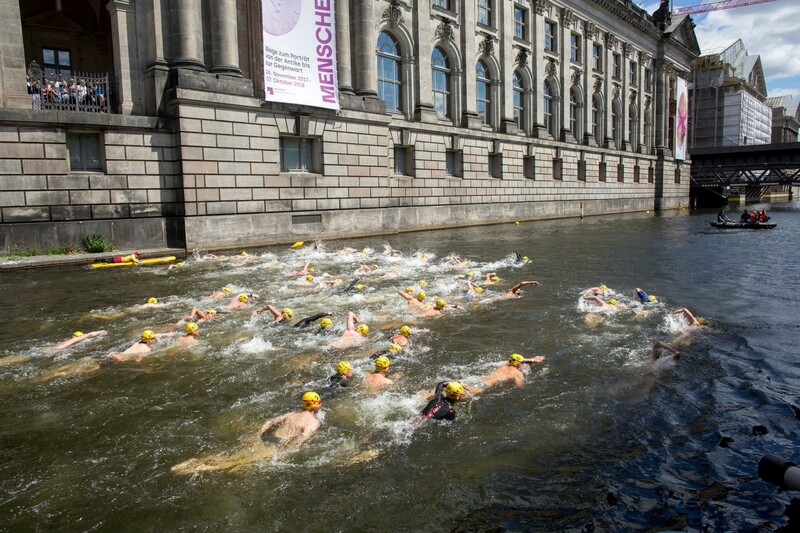 By 1925, the water quality in the Spree had become so poor that the last bathing establishment closed. The river had become a sewer in the industrial age. Flussbad Berlin aims to mark the centennial of this closure by re-enable bathing in a river pool one-hundred years later. An urban project of such magnitude needs public backing to have any chance of moving from dream to reality. More than 500 swimmers showed their support for Flussbad Berlin by participating in the 4th annual Flussbad-Pokal (River Pool Cup[MZU1] ) held in July 2018. 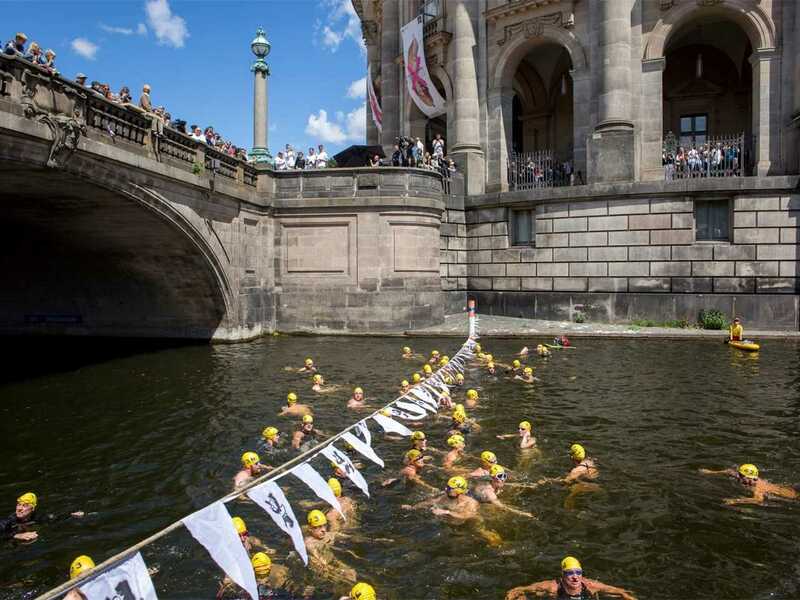 The number of swimmers taking part – on the stretch of the River Spree where the swimming pool will be located between Bode-Museum and Schlossbrücke – has more than doubled in the last two years. Project architect Jan Edler of realities:united notes that the level of public support is key. 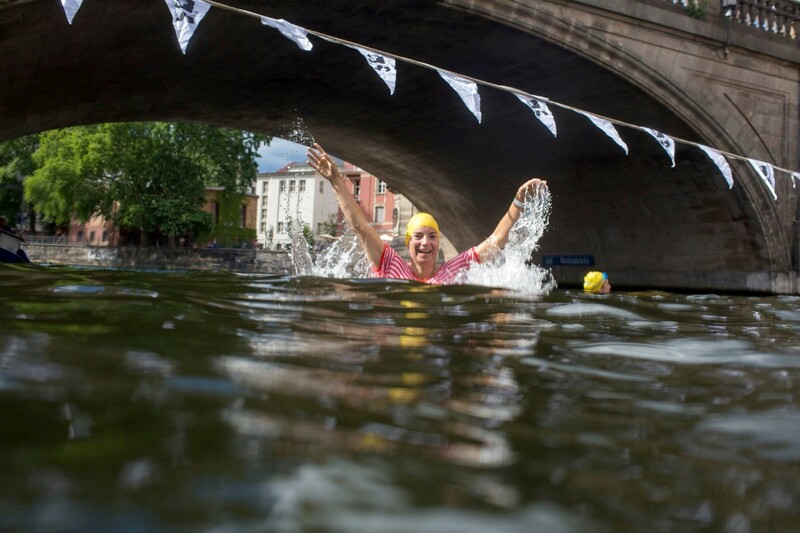 “Expanding participation and civic engagement underscores the growing support of the population for the urban development project, and its goal of first recovering the Spree Canal and then the entire inner city Spree as a natural and communal resource for humanity and nature. It is no longer a question of ‘if’ the project will come about, but ‘when’,” says Edler. 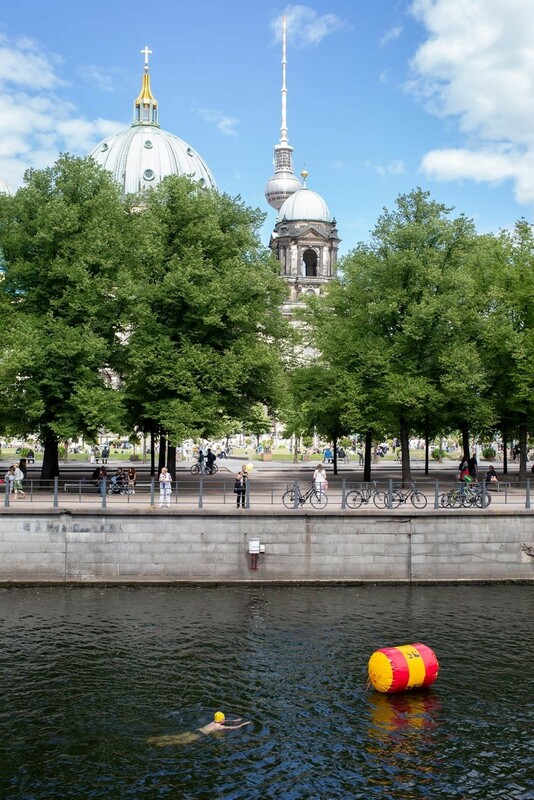 Further progress requires the effectiveness of the planned ecological plant filter in the Spree Canal to be scientifically proven. Usually, swimming in the Spree River is prohibited, and the mostly cloudy water is not particularly inviting. 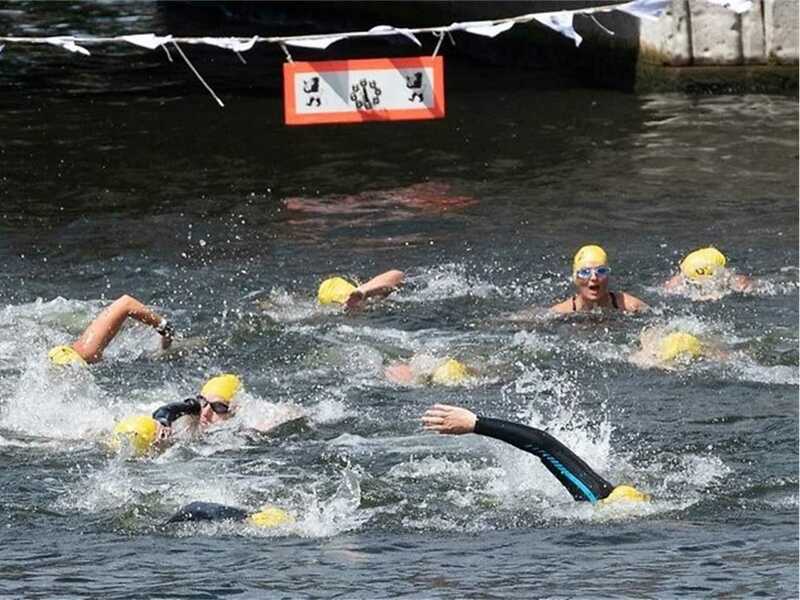 The water is already at a quality suitable for bathing except when heavy rains cause an overflow of effluent into the canal from the combined system for handling storm water and sewage. 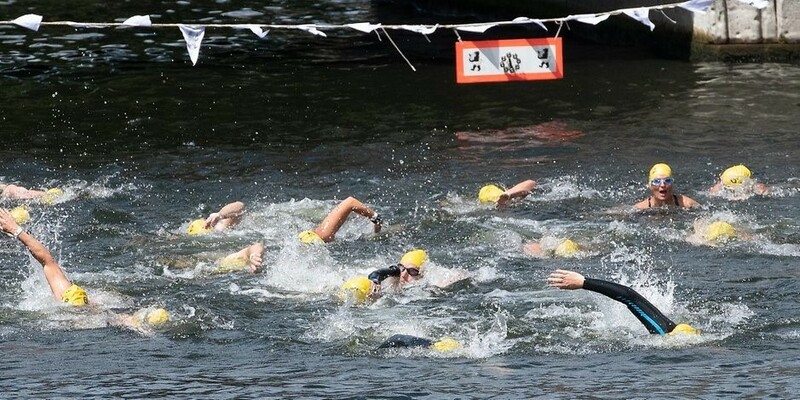 In 2017 the Flussbad-Pokal was cancelled due to poor water quality following heavy rain. This year, the water from the river was tested by Berliner Wasserbetriebe to ensure it was safe for swimming. 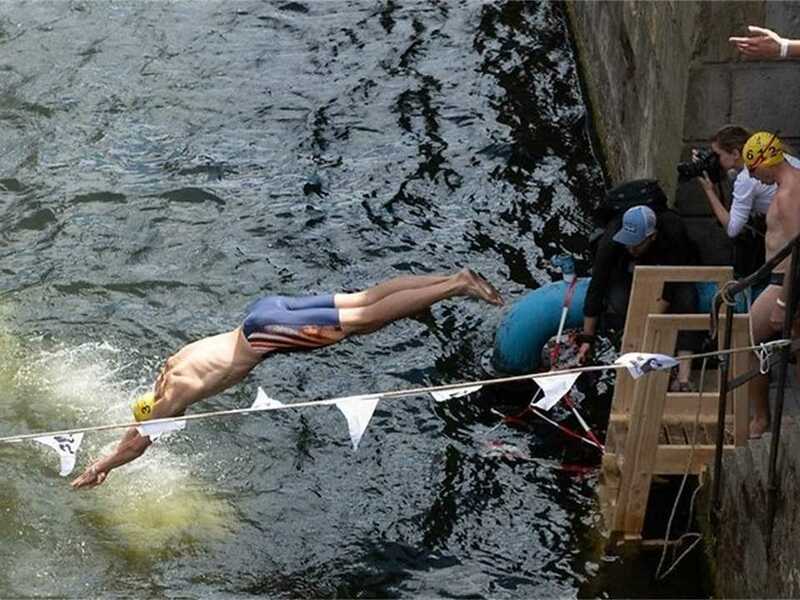 The water quality was rated “excellent”. 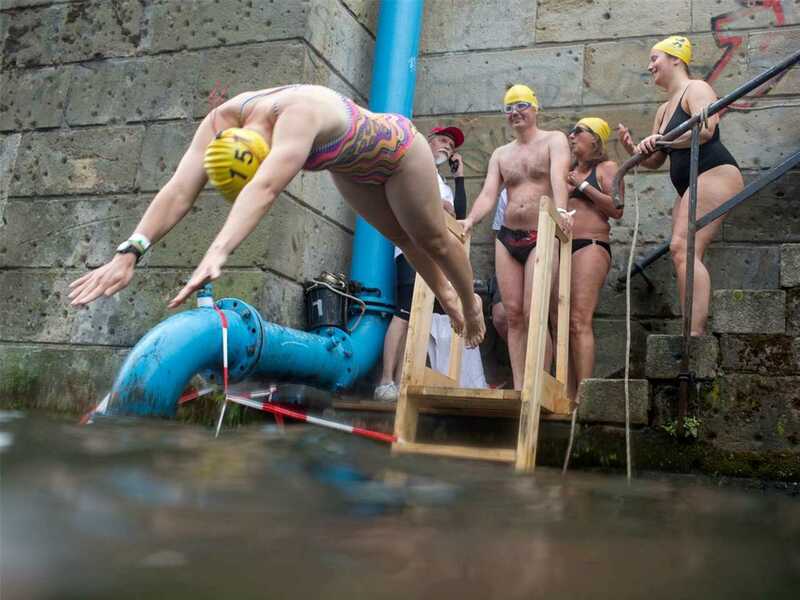 The 4th annual Flussbad-Pokal was for the last time supported by federal and state funding under the “National Projects of Urban Design” program. 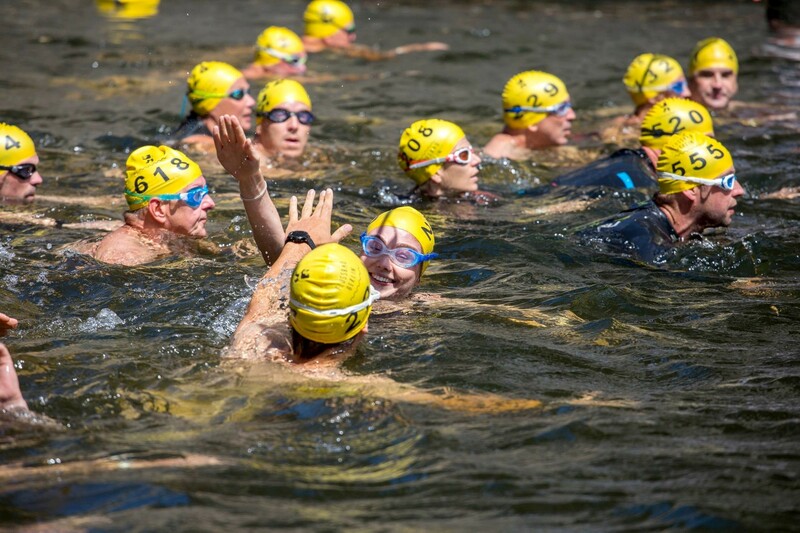 Flussbad Berlin is already holding talks with potential supporters to host the Flussbad-Pokal in coming years. 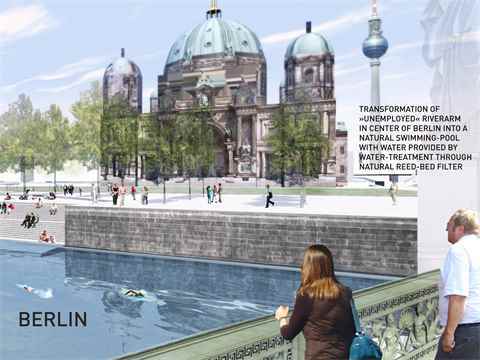 The Berlin state parliament created a working committee to assist the realization of the project in November 2017. The committee will coordinate approvals across federal, state and local jurisdictions and ensure the project is integrated into relevant urban plans. The project has been funded by the Federal Government and Berlin State since 2014 as part of the National Projects of Urban Development program (Nationale Projekte des Städtebaus). 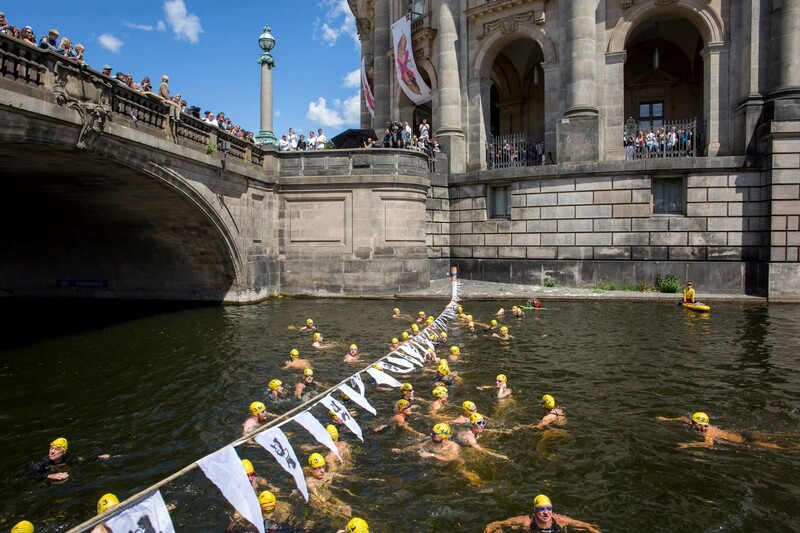 The Flussbad project will transform the Kupfergraben Canal, an underutilized arm of the River Spree, into a natural, self-cleaning body of water. 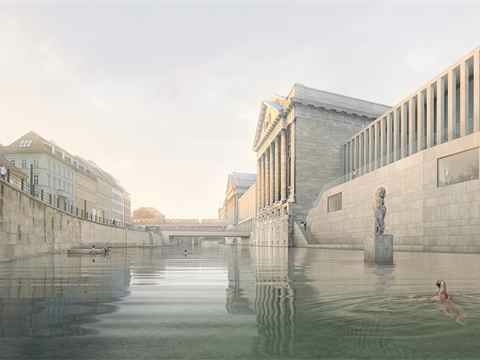 Along this 750-meter stretch by the Museum Island, people will be able to walk, bike, swim, or just relax – an important progression towards sustainable urban (re)design.